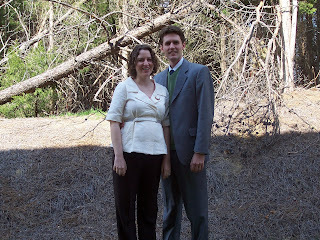 We documented Easter 2008 for posterity behind our apartment. Matt looks handsomely springtime-y right? I look...pregnant. Look at the baby tummy! Do we know what we're having yet? I love this picture. You both look adorable. I can't wait to see you in person like that.